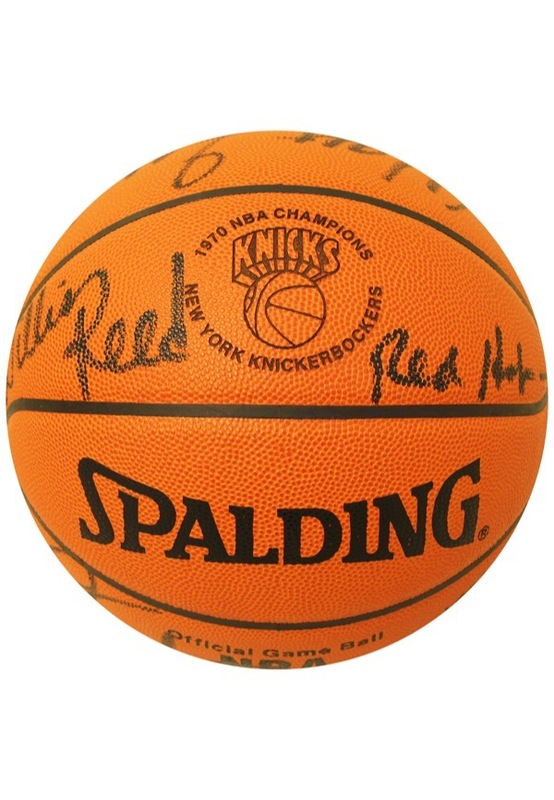 The New York Knicks won their first ever NBA Championship in 1970 defeating the Los Angeles Lakers in 7 games. 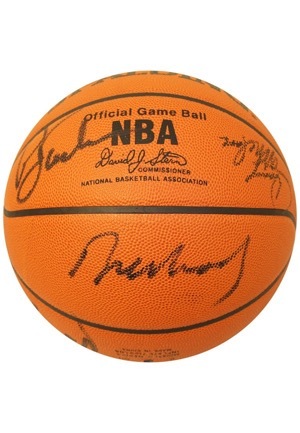 This Spalding Official basketball is signed by eight members of the Championship team. The signature are highlighted by Hall of Famers Walt Frazier, Willis Reed, Dave DeBusschere and coach Red Holzman amongst others. The signatures are done in black marker and in our opinion rate between 6-8 with the majority on the strong side. 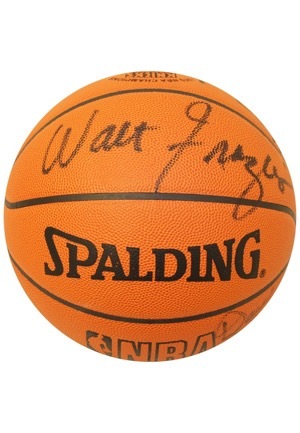 This basketball was purchased directly from Madison Square Garden and is accompanied by a LOA from JSA.